A blog grown from my love of gardening, good food & God! For many years I’ve wanted to purchase the BIG olive oil. But I could never really justify it. Until now! With five family members and a garden full of green stuff, it’s finally time for the big olive oil at our house. This week I bought it in anticipation of making pesto. While the basil in my garden isn’t quite ready to be picked yet, the arugula is going gangbusters and with the upcoming hot forecast it’s destined to bolt soon. 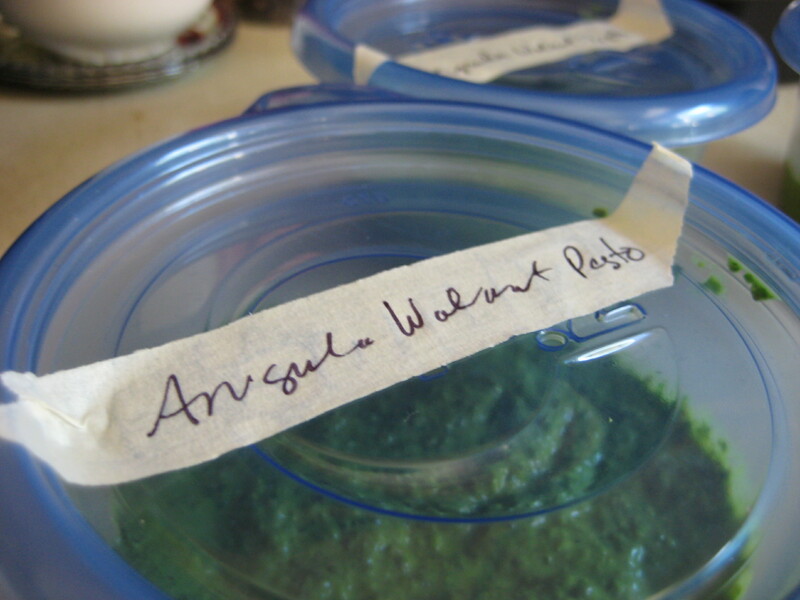 Since I was prepped for pesto-making, it was easy to throw together some arugula walnut pesto for my freezer this morning in between other household chores. 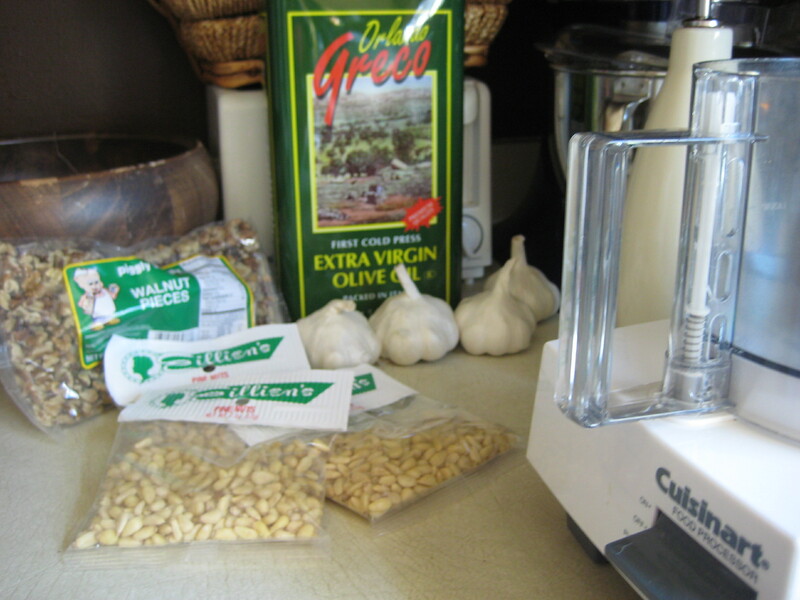 Start food processor and drop in garlic cloves. Once chopped, turn off processor, add arugula, walnuts, salt and pepper. Process a bit, then while leaving processor on, stream in olive oil slowly. Continue processing until it reaches a nice saucy consistency. I do not put cheese in pesto I intend to freeze. It’s nicer to add the cheese later when using the pesto. That way the cheese is fresh and I can customize the amount depending on how I’m using the pesto. Pesto freezes nicely in small serving size containers. Pesto can be pricey. To save money it’s possible to substitute a more affordable nut, as I did with my arugula pesto. The traditional pesto nut is a pine nut. These are delicious and I do use them, especially with a basil pesto. But it’s fun to experiment with other nuts and the results are almost always delicious. I also save money by adding cheese later. Sometimes I don’t even add cheese since it’s yummy without. Or I will just put cheese over a dish made with pesto, such as sprinkled over pasta or a pizza made with pesto sauce. Don’t try to save money by using the green can of Parmesan in pesto. Always use a real wedge of cheese (domestic is fine, imported is divine) and grate it yourself. 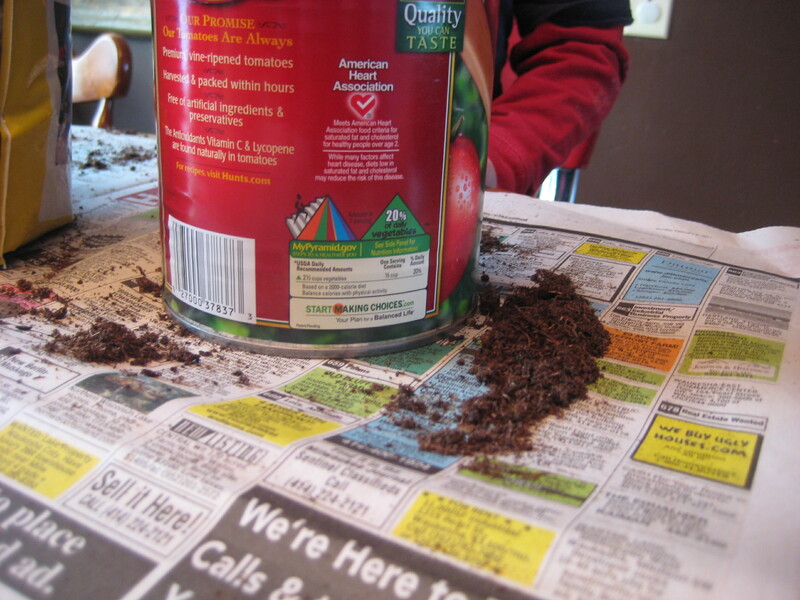 And of course, the number one money-saver idea I can offer is to grow your ingredients yourself. 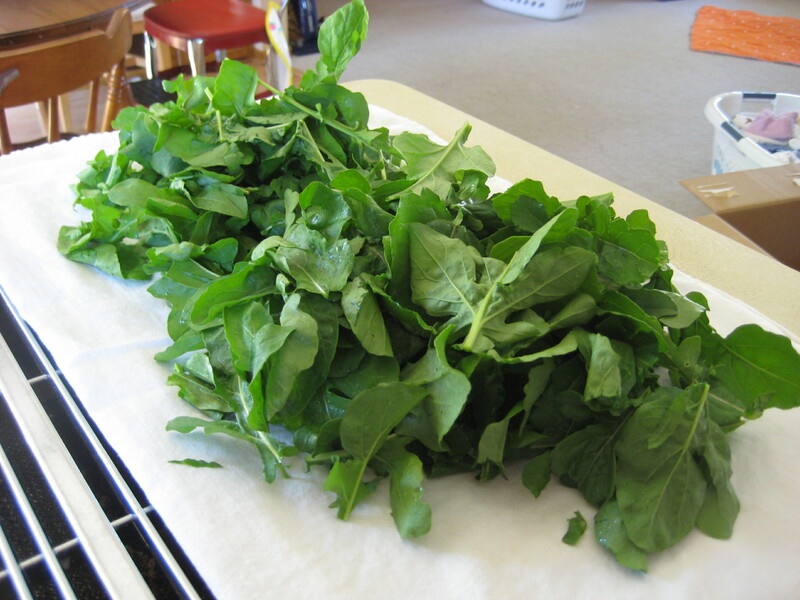 Basil (and arugula) are very easy to grow in a backyard garden or in pots. You can grow a large amount and really stock up the freezer for the winter. 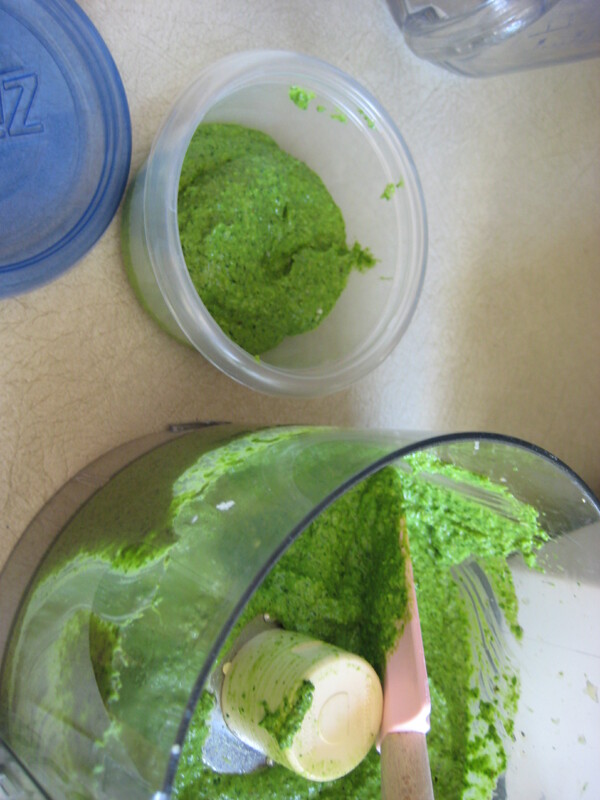 Parsley, mint and cilantro can also be used for making pesto…. each has its own unique flavor. Inspired by the salad mixes I’ve seen in the grocery store lately, I thought I might try to grow some herbs indoors to add to salad greens. I especially like some cilantro thrown in to a salad, and since I use parsley and basil weekly anyway, they seemed like nice additions too. 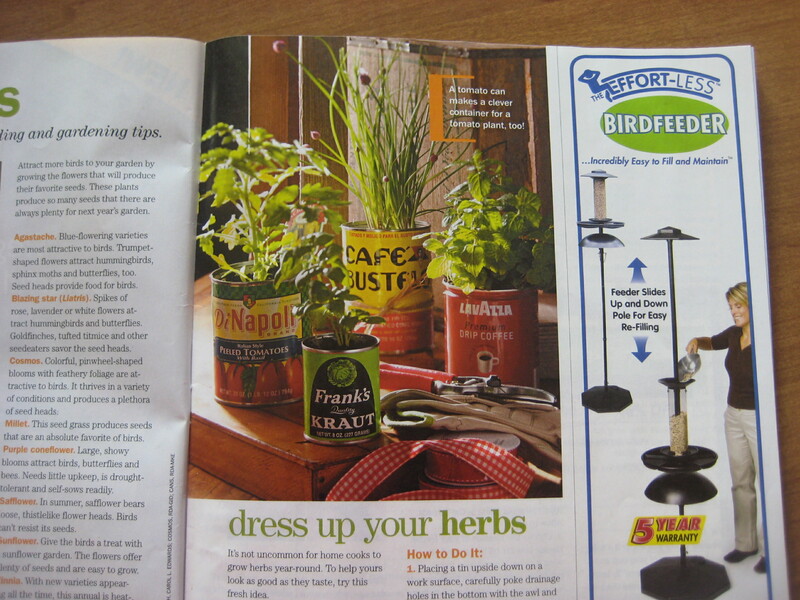 Herb-in-a-Can project on the pages of this month's Birds and Blooms. Well, I guess someone else had the same idea. At least I know it works! 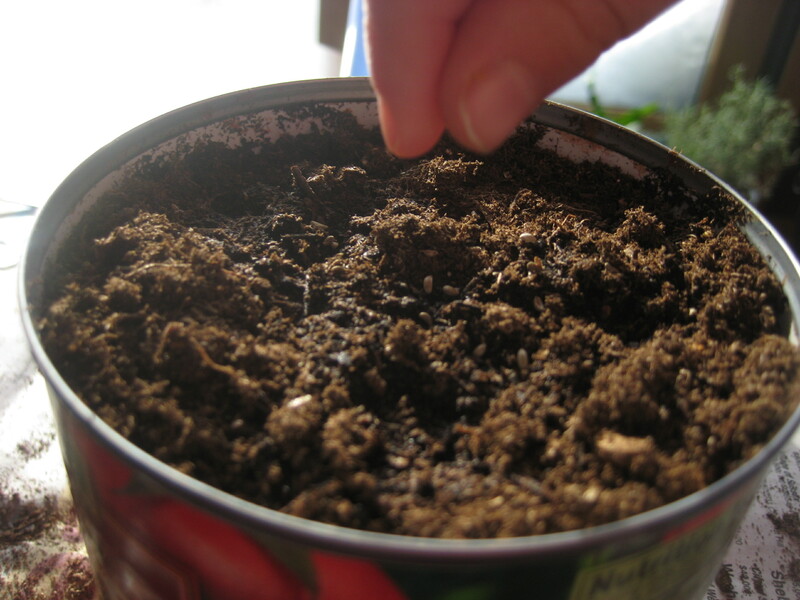 Empty cans are a nice size for growing some herbs. 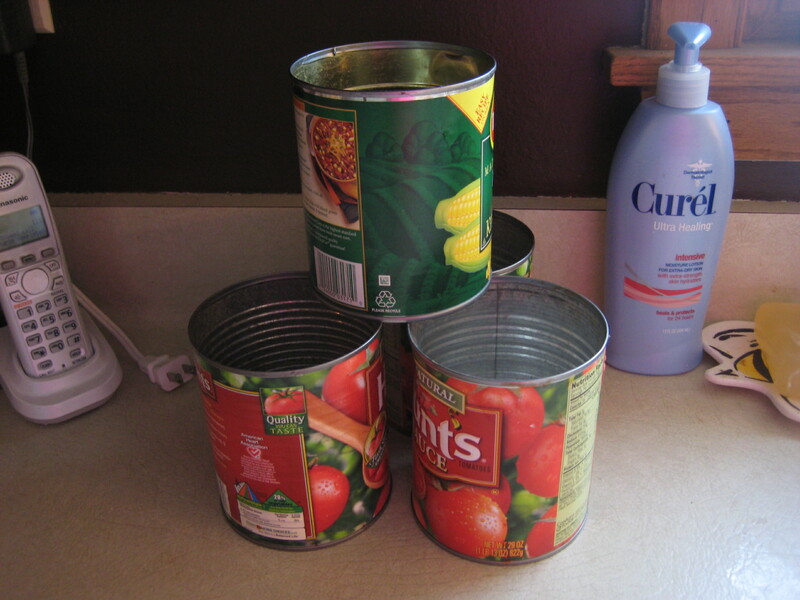 Not pictured is my husband using some sort of power tool to make drainage holes in the cans. It’s important to provide a place for water to drain out of, and into. 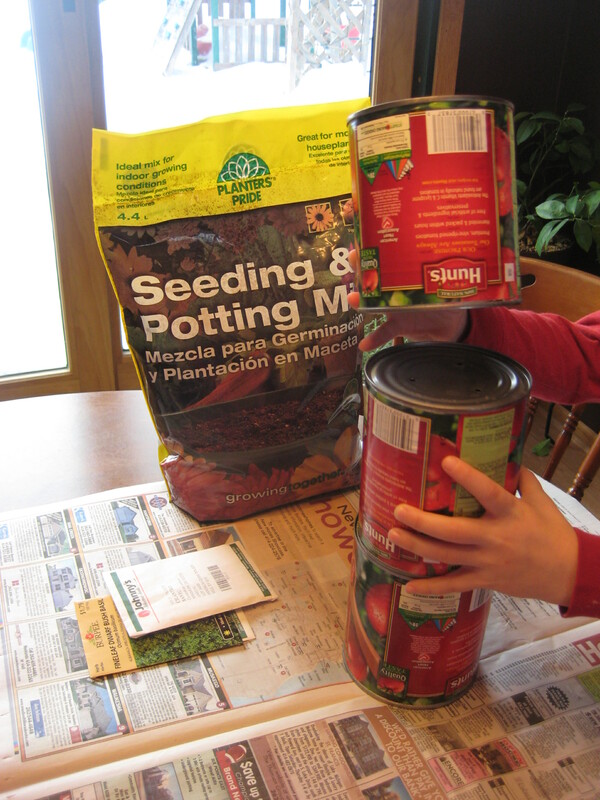 Once these cans are planted, they will be put on a tray with pebbles or marbles underneath them to allow for proper drainage. We filled the cans with a soiless seeding mix. Prepared for the mess, I covered our workspace in newspaper. Cans are filled with mix, water is added and then some more mix to fill. Sure glad I put the newspaper down! 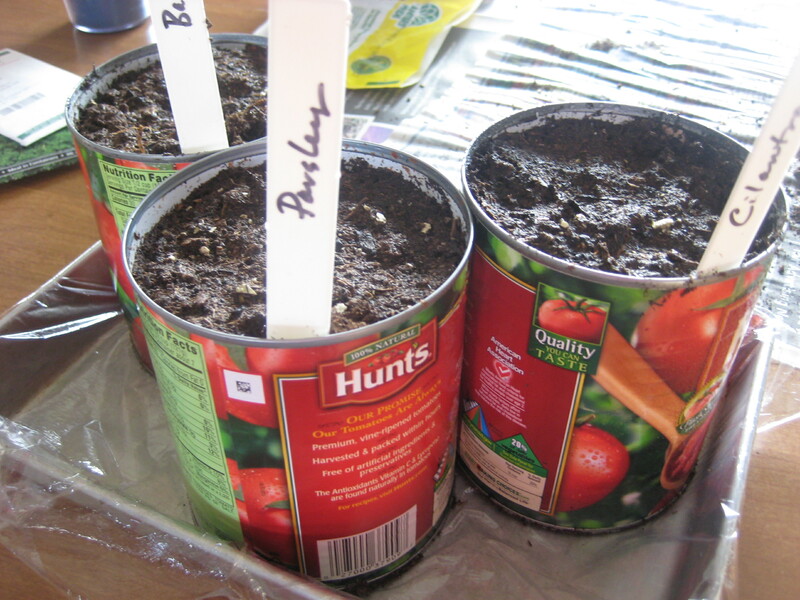 Seeds selected for this project: parsley, cilantro and bush basil. 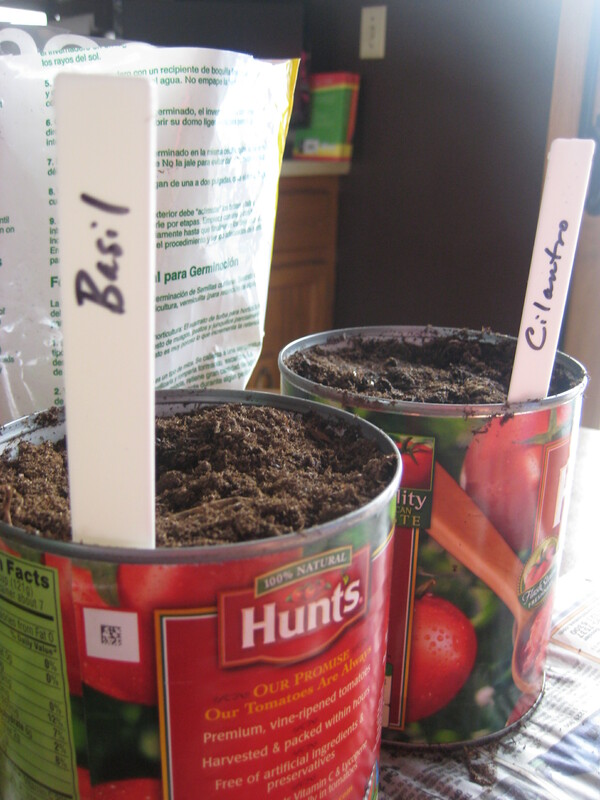 We labeled the cans before we put the seeds in, just to be safe! 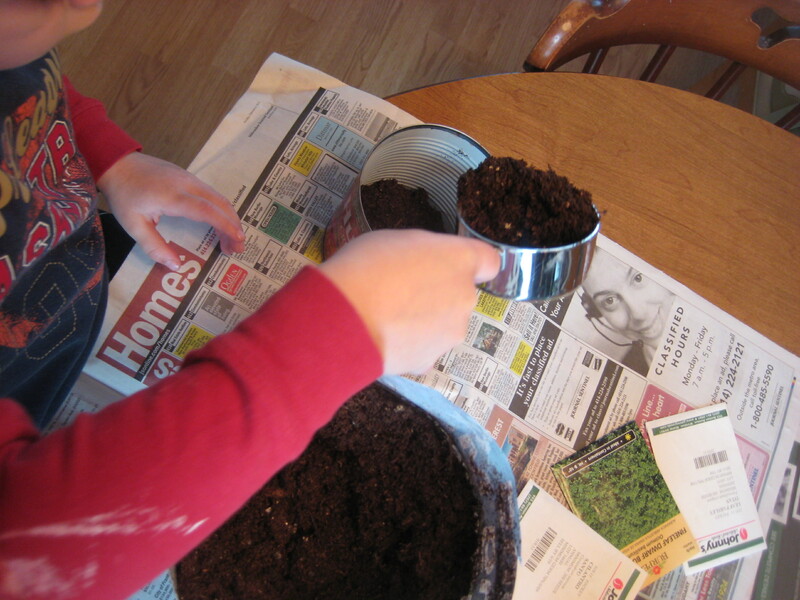 My son sprinkles the seeds on, we then cover lightly with the soiless mix. 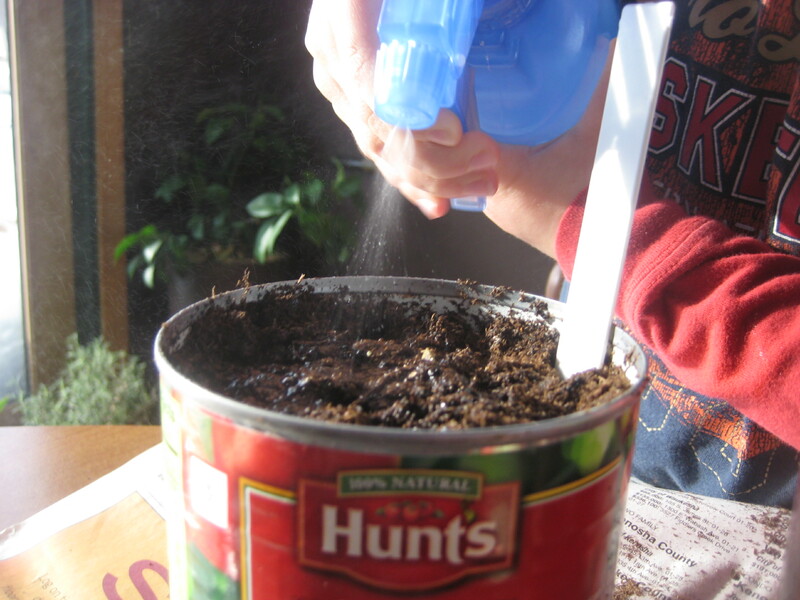 Finally, the seeds are given a spritz of water. My next step will be to add the pebbles to this tray, then stash it in the bathroom until the seeds germinate. Wait–did I just say the bathroom? Indeed! 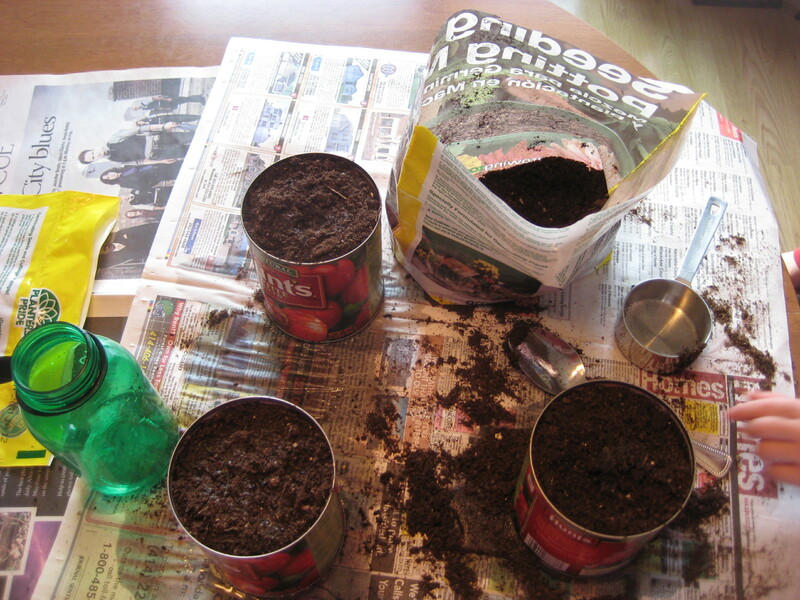 It’s the warmest room in our house and we always take advantage of the heat in there to germinate our seeds. 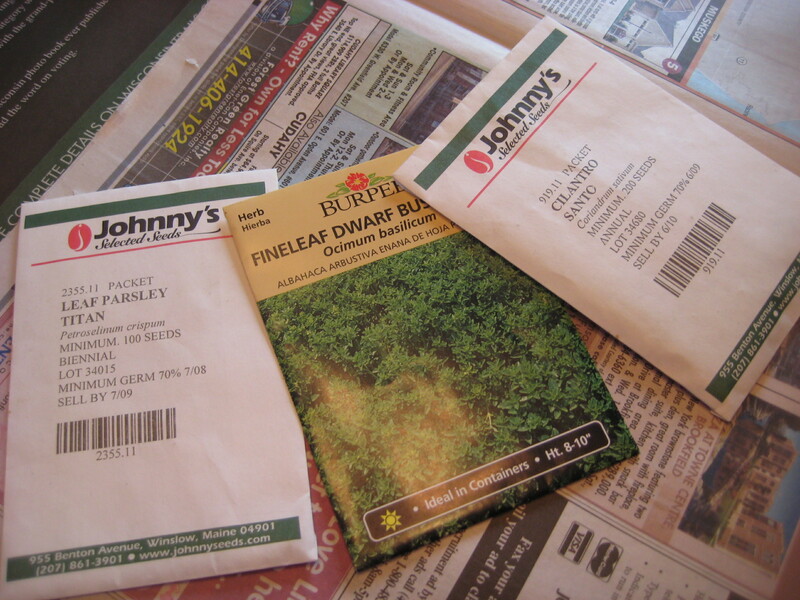 I do not have to use heat mats or grow lights to start seeds. Bonus: the emerging seedlings LOVE the steam from the shower. I’ll be sure to keep readers posted on this project! A view of my garden. I post photos of food made with ingredients from my garden at Photos from the Garden Table.